Each item is explained in broad terms. For example, authorizing power over business operations means the agent would be entitled to engage in any business ventures the principal is involved in in any lawful way. This could include selling a business interest or entering into contracts with other businesses or organizations. You can choose all of the powers above, or you can choose one or any combination of them. 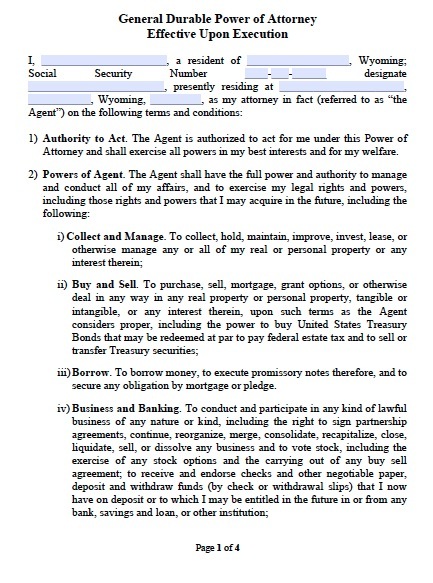 It is recommended to limit the tasks you authorize to those you need the agent to perform. Wyoming forms require the signature of two witnesses, and having a notary sign is highly recommended.